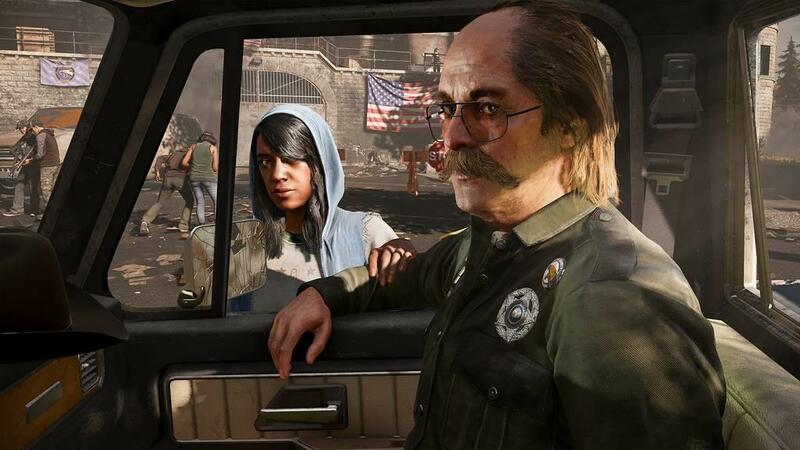 Far Cry 5 kicks off with the same formula most of the series seems to have embraced: putting you face to face with the big bad in the opening scene. Taking a page out of Far Cry 4, there's even an option in that scene to do nothing and let the credits roll. 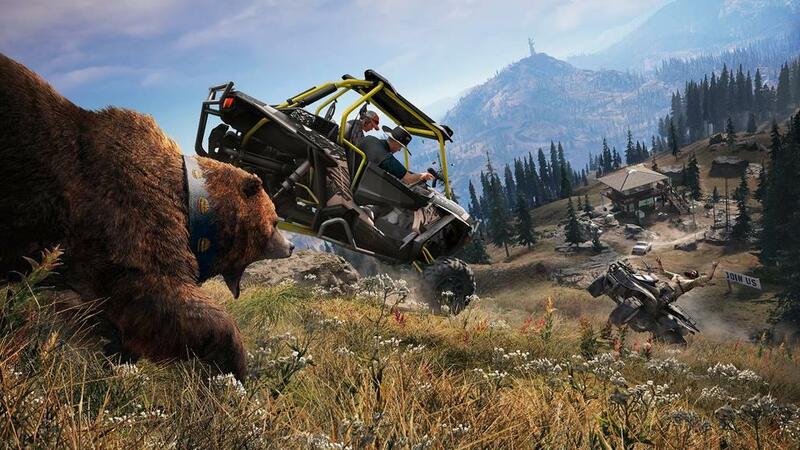 It's classic Far Cry everywhere you look: the weapon load outs are similar, nature abounds and wild animals inhabit every wooded area to clash with the scores of enemy soldiers, bases are there to be liberated, animals there to be skinned, vehicles to drive. This time you can choose a female character to run the game with and the crafting from animal parts has been eliminated, restricting crafting to just simple bomb making. In its place skins can be exchanged for cash to purchase upgrades. 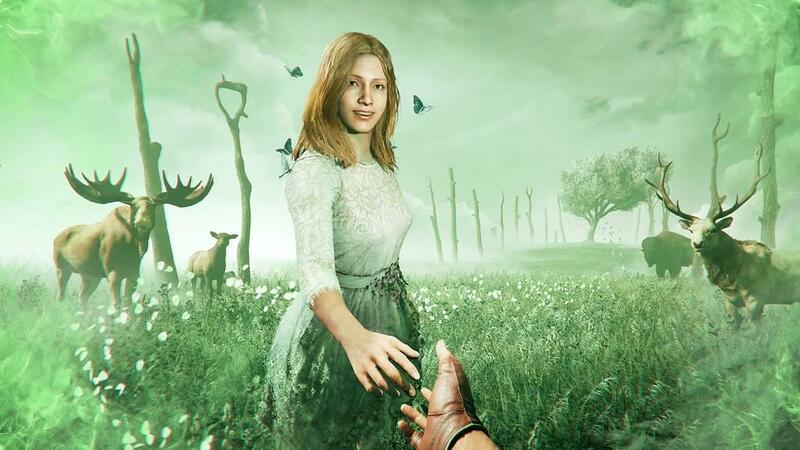 And there you have it: Far Cry 5, it's Far Cry 4 but set in Montana so capitalism has replaced crafting and equal rights have opened the doors to finally allow a woman to take the lead role of silent protagonist, driving the story but having nothing to say in it. Far Cry 5 does not push this series forward as much as it fully embraces the unscripted chaos that was its predecessors greatest success. It is a car crash of missions, factions, wilderness, and random spawns and events. But it does so somewhat to its own detriment. There is a plot in place, but it's pretty standard stuff: Cult takes over Hope County, Montana; cuts off access to outside world; and you serve as the spear point of the resistance to take back the region. The narrative focuses on the cult leader and the sadistic members of his family that make up his band of lieutenants. Ferret out and defeat each one to eventually work your way up the chain. The entire map layout and open world progression system is lifted directly from Ghost Recon: Wildlands. Come to think of it, so is a lot of the plot. Do whatever open world activities you want in each of the lieutenant's regions to fill your meter and force those junior confrontations. Clear all the areas to force the final showdown. Story mission activities provide more progression but any activity will reap at least some small progress. And that's where the game ultimately both suffers and succeeds: there is just so much going on it becomes problematic to do, well, anything. Standing between point A and point B on any travel itinerary is an endless stream of random encounters constantly begging for your attention. Want to kick off the next story mission? Oh look, a tanker truck! Blow that up for some quick easy progression points. And over there! A townsperson has been pulled over by a cultist and is about to be executed, better save 'em. Of course on your way you just ran into a checkpoint and they're shooting. Take cover behind those trees. Oh wait! Behind those trees was another random encounter with more cultists, now you're being shot at on two fronts. Thankfully a cougar also just happened to be behind the trees as well and now everyone is getting mauled by it. There a constant stream of goings on that I really believe was an intentional ploy to try and recreate those magic little moments when it comes together perfectly. When you blow up an exploding barrel that was next to a caged bear and now a flaming bear is rampaging around the enemy base doing most of your work for you. But what it ends up being in practice is a whole lot of noise that actually bogs the game down. The game's biggest issue is the overpopulated world. It's a little less messy on the fringes but for the most part there are so many little inconsequential sideshows constantly barraging the screen it ends up a chore just to move forward from one mission end to the next mission start. You literally do run into some new skirmish only to take cover right into the lap of another new skirmish. It tries to force those magical moments of Far Cry bliss when these unscripted events come together in the most delightful ways but mostly it's just maddening, especially for a guy with a review deadline. For the first time in a game that I can ever remember, I ended up fully embracing fast travel. I usually hate fast travel. I feel it cheats me out of the whole experience. 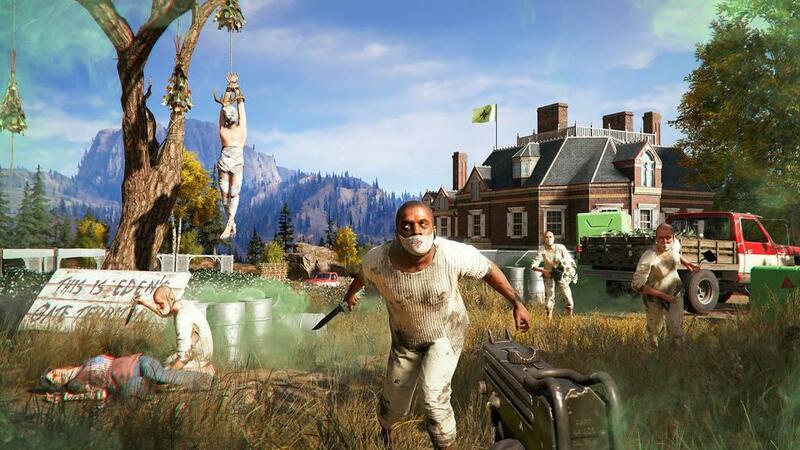 No matter what the distance I always want my character to go at it the old fashioned way, but in FC5 there was just too many distractions between A and B that fast travel became a necessity. Another way the overpopulation really hurts the game is when these events interrupt the long and drawn out little dialog expositions that must be listened to in full to actually kick off any mission or gain any intel. The NPCs doling out these gems suffer the same incessant barrage of random encounters that follow your character, so they must often halt mid sentence and deal with some new conflict of their own. A cultist truck slowly drones by a resistance outpost and now you're got a full firefight to resolve before you can hear that last sentence of the loot drop location. I once had a helicopter that was particularly timely three times bombard a critical mission giving NPC, twice causing him to hop on a nearby ATV and just completely bug out from the mission area. I had to reload the area with fast travel just to get him to respawn back in place only to see the sad little melodrama play out again when our helicopter dropped in on the scene a second time. On the third attempt I had an RPG leveled right at the helicopter spawn to finally down them before they could fire off their first round and spook the NPC. There is one real way this game does move the series forward is the companion system. It's more or a less a stand in for co-op in a single player environment. Three low level rando guns for hire can be employed as travelling companions or choose on the 9 specialist that have much more powerful perks. To be honest, too powerful. Specialist are basically an easy button, offering things like dead aim sniping, near constant air support, or even bears and cougars on demand, oh my! The biggest strategic purpose companions serve is the ability to revive you if you've fallen and they are still standing. Which is particularly nice when you run into a cheap death like hitting the wrong button to eject yourself from a speeding automobile or blowing said auto up because you accidentally tried to commit vehicular homicide on an enemy wearing a large exploding flamethrower fuel cell for a backpack. But functionally Far Cry Arcade is a triumph on two levels. Firstly, because it provides the stage for a robust competitive multiplayer element the base game can only do in co-op. But even more so because it provides a space to play Far Cry without all the random encounters getting in the way. It's a little slice of scripted tranquility in the sea of madness. Some quick hits to send us out: Far Cry 5, overall is a very good looking game. It fleshes out the back country of Montana well. It suffers from the same bugs you've probably come to expect of a game of this size and pedigree. Occasionally NPCs clip badly into the environment, occasionally they don't spawn in correctly. It's usually things that a little fast travel will reset the environment so it all lines up properly again. The plot is not its strong suit. It's ripped from common gaming tropes with a few forced and ham-fisted excuses thrown in to bring you up close and personal with the cult leader and his lieutenants from magic bullets that knock you out to opening a door and there's someone on the other end waiting to knock you out to dream sequences. When you can get from one mission to the next it all progresses pretty quickly. Most of the NPCs are just there with little backstory and less development. A few get their stories told better than others, but even some of the seemingly major ones are really just vending machines for missions and information. It also has all the extra Ubisoft bloat packed in as well, Uplay and Ubisoft Club are both on hand and eager to pop up messages onscreen to reward you for your progression. But who really uses that stuff anyway? And finally there are lots of little cross promotions and Easter eggs from the pee tape to Red Dawn references to a jackalope sitting in a field to kick off a dream sequence. It's all in there. Overall, it's a fun ride and good for a few laughs. 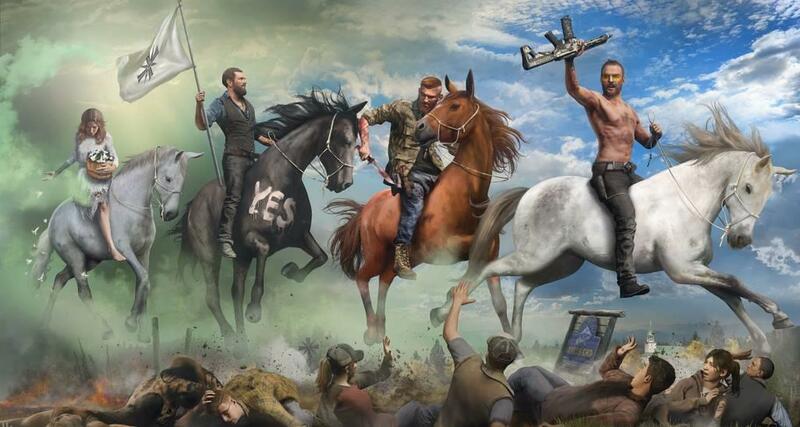 Game play and gunplay are solid, what you'd expect from a Far Cry game. It has a little bit of everything: single player, co-op, multiplayer, level creator, scripted missions, random events, and many ways to approach it all. I'm not sure if it really does any of that at the top of the genre, but it does each bit well enough to be enjoyed on its own. A jack of all trades, master of none type experience. Don't come for the plot or social commentary because it's not pretentious enough to really try and say anything. Do come for that rare bit of magic when it all comes together. Far Cry 5, for better and worse, is just a collision of events that sometimes creates beautiful moments out of the chaos. It has a plot that does not drive it. It dares not to make any commentary on the actions of its antagonists less the actions of the protagonists immediately drown the whole narrative under its hypocrisy. It is simply a vehicle for violence and hi-jinks, an excuse to shoot stuff, drive stuff, blow stuff up, shoot some more stuff, and then watch a bear come out of nowhere an maul that last thing you were about to shoot. 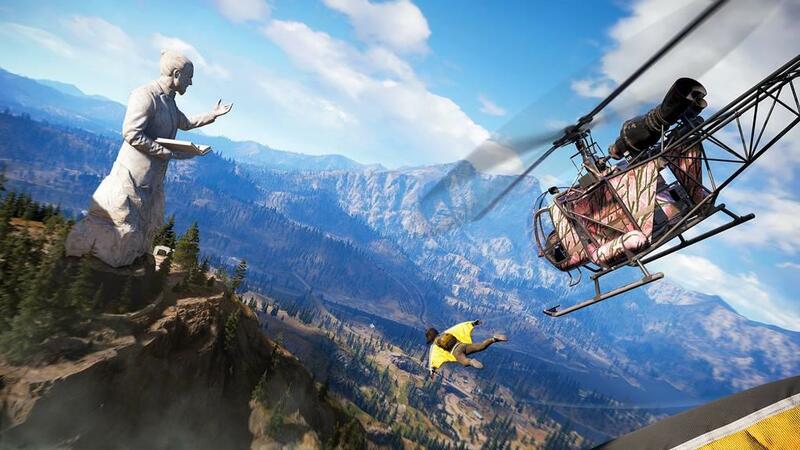 If you embrace the madcap, if you let go of expectations of narrative and plot and just give in to the cult of Far Cry, then there is a lot of entertainment to be had. It's not a game I would describe as good so much as entertaining. A stoner's paradise of silly action and happenstance. That's the level on which it truly works and can be enjoyed. I doubt anyone is going to put Far Cry 5 on their best of 2018 lists, but most people are going to run into enough moments when the car crash of random events come together and produce something unscripted and memorable of which they will be glad for the experience.